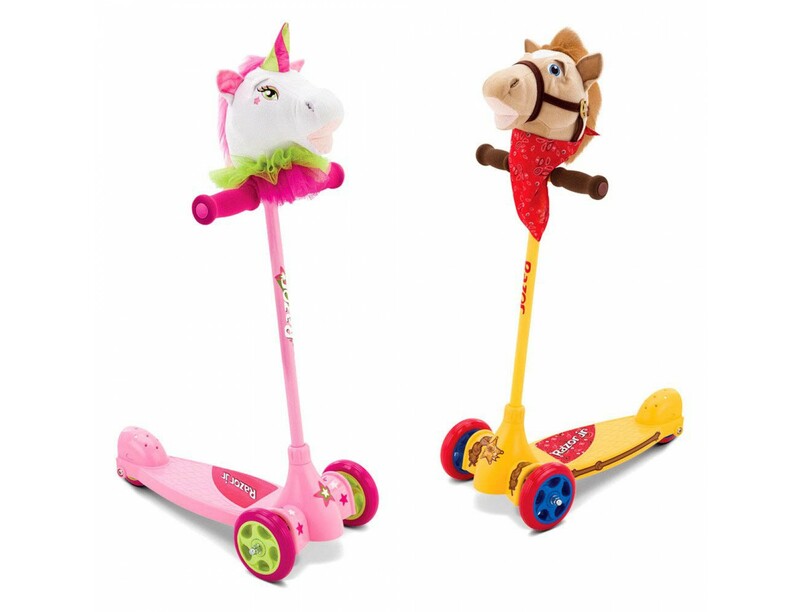 Razor Jr. Scooter Kuties $22.00 Each. 3-year-olds are deemed too young to have their own bikes, so parents decide to give them the next best thing: scooters. They want something that is safe and stable, but also cute and cuddly. And that is where the Kuties Scooters from Razor Jr. come in. 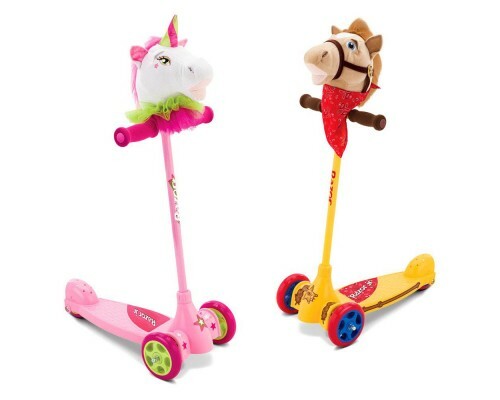 Not only does it save parents from the cost of purchasing a scooter and a hobby horse separately, it also help them in introducing their kids to the concept of riding. Give your kids a memorable first scooter ride with their cuddly friend.